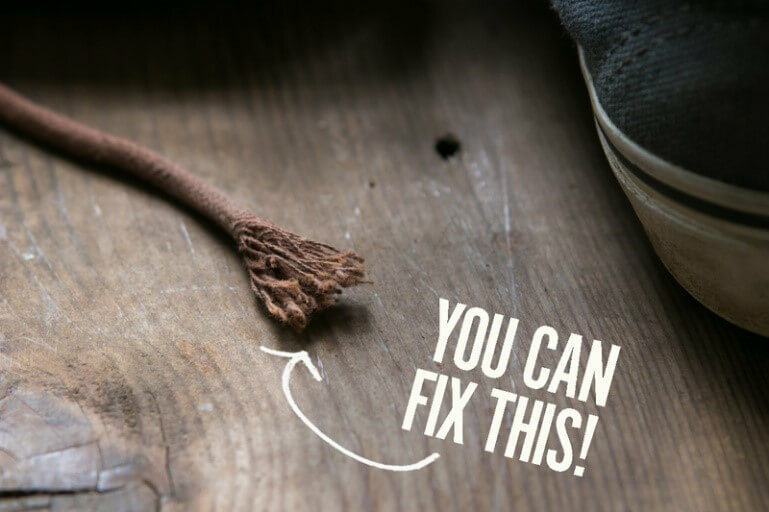 Why the Plastic on Your Shoelaces Matter? I recently participated in a training in which Dr. Dan Siegel, the leading expert in interpersonal neurobiology, spoke. He explained the power of presence and the implications for our physical wellbeing down to a cellular level. This is what he said, “Presence – what happens before we sense something. Sensing is the first interface with experience. Before we even engage with it, we recognize it – this is presence. Presence provides all sorts of things: it raises an enzyme that repairs chromosomes called telomerase…” (Siegel & Schwartz, 2015). This statement is fascinating and has powerful implications for our daily lives. I invite you to join me in examining what this means for us all. First, a crash course in advanced level biology. Telomeres are “protective caps at the end of chromosomes” (Epel, Daubenmier, Moskowitz, Folkman, & Blackburn, 2009). I’ve heard telomeres likened to those little plastic coatings at the end of shoelaces (Szalavits, 2010). Telomeres help to “protect the end of the chromosome from DNA damage or from fusion with neighboring chromosomes” (Siegel & Schwartz, 2015). Researchers have found that as cells divide and multiply that telomeres become shorter and therefore less protective of the chromosome (Szalavits, 2010). That’s where the enzyme telomerase comes in; this enzyme repairs telomeres and restores length. This is important because studies are indicating that there is a correlation the fullness and health of the telomeres and the life of the cell (Epel, Daubenmier, Moskowitz, Folkman, & Blackburn, 2009; Szalavits, 2010). The implications of this information point to the value of telomerase (in appropriate measure) as crucial for the health and vitality of each of our cells which in turn maintains the wellbeing and youthfulness of our entire bodily system. Now that we’ve examined the science; let’s turn our attention to the idea of “presence”. Dr. Siegel explains that presence involves being curious, open, accepting, and loving (Siegel, 2014 April). This understanding of being authentically present with others is reflected in Calo program’s CASA model, which teaches a lifestyle of interacting with others with security and safety, healthy boundaries and limits, and empathy. As human beings, we have a biological, psychological, and social need for others to be present with us in the form of healthy and safe boundaries, empathy, safe and appropriate physical touch, and eye contact. As Dr. Seigel emphasizes, presence also goes beyond simply an experience with someone, it exceeds what words and touch can do between people, and it can reside in the unspoken and the unconscious. Now let’s pull this all together. Elissa Epel’s study is one of several groundbreaking studies that indicate that presence, connection, and empathy are associated with a healthy increase of this enzyme, telomerase, within our bodies (Siegel, 2014 March; Siegel, 2014 April). What that means is that we are gaining further scientific evidence that presence actually makes our cells healthier. As a counselor and advocate of strengthening relationships and experiences of connection, this information excites me to know that as I teach clients the power of empathy and authentic presence that I am helping them to gain tools that have the potential to impact their lives from the community and family systems level all the way down to the microscopic cellular level. Vive Family Intensive provides transformational family therapy through short-term, intensive family experiences. Vive addresses the root cause of what keeps families stuck in dysfunctional patterns by surrounding the family with an exceptional amount of support that includes between 5-10 days of family therapy that include state-of-the-art clinical interventions, neurotherapies, canine-assisted therapy, and adventure experiences. An Vive family intensive has not only demonstrated effective in improving young people’s self-concept, anxiety, depression, and shame but has been characterized as providing the healing effects of six months of therapy in only one-two weeks. To learn more visit Vive Family Intensive or contact Cecily Mitchel at [email protected].